You pack Operation Christmas Child shoeboxes and then what? How might they impact the lives of the children who receive them? Well - Meet Nadia Karnatova. She grew up in a large family in Ukraine. She and her siblings received Operation Christmas Child shoeboxes when she was about 9 years old. In 2000, Nadia’s family moved to the United States as refugees. Today, Nadia lives in central Ohio and loves to pack shoeboxes with her husband and three children. 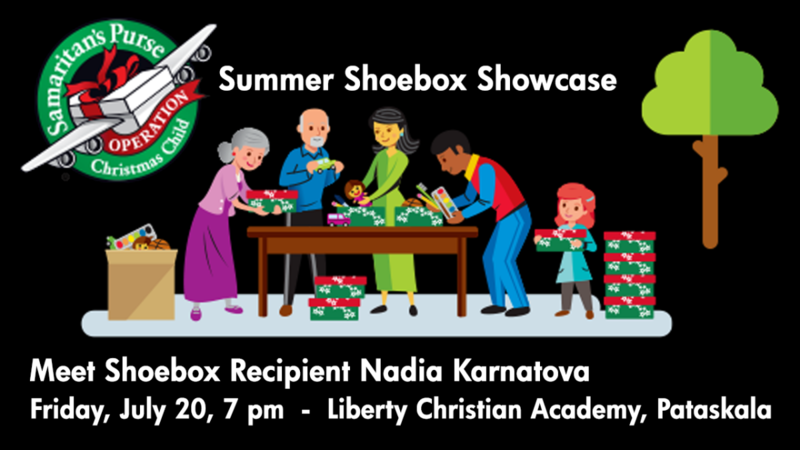 Come meet her and hear first-hand about God’s faithfulness in her life and about the special item that she received in her shoebox. Friday evening, July 20, 2018, 7 pm, at Liberty Christian Academy, 10447 Refugee Road SW, Pataskala,Ohio.